SEOUL, June 27 (Yonhap) — South Korean star singer-actor Jang Keun-suk will launch his annual Asia tour this weekend, his talent agency said on Monday. 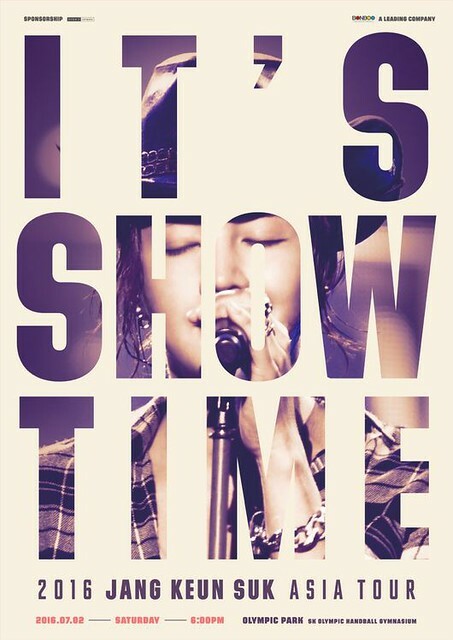 The 28-year-old hallyu star will kick off the “2016 Jang Keun-suk Asia Tour: It’s Showtime” on Saturday at Olympic Park in southeastern Seoul, according to Tree J Company. Following the opening event in Seoul, the singer will perform in Tokyo and Osaka in Japan and Shanghai and Shenzhen in China along with other major cities throughout Asia. “In this year’s tour, Jang will perform his songs and entertain fans with candid talk on his works of small screen acting,” the agency said in a press release. Since his debut as a child actor in 1997 with sitcom “Selling Happiness” on HBS, now-Channel CGV, Jang has established himself as one of the most popular South Korean singer-actors across Asia. Some of his hit K-dramas includes “Lovers in Prague” in 2005, “Beethoven Virus” in 2008, “You’re Beautiful” in 2009 and “Royal Gambler,” his latest show that concluded on June 14. C’mon to BKK also, sugar…eels here need your luv!! !